Brian Terrill's 100 Film Favorites - #58: "Harry and the Hendersons"
I’ve mentioned my passion for cryptozoology several times already in this Countdown. 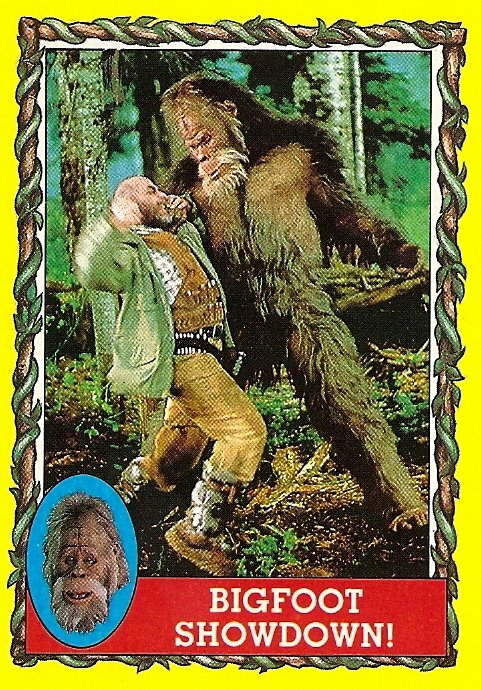 Well, Harry and the Hendersons is probably the best cryptozoology movie out there. Bigpaw may claim to “supersede” your everyday, run-of-the-mill sasquatch, but he’s got nothing on Harry. 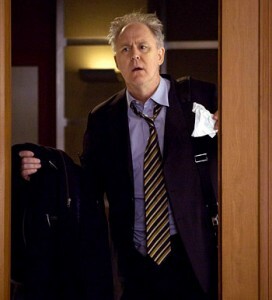 The film begins with George Henderson (John Lithgow) and his family returning from a camping trip in the Pacific Northwest. While barreling down a narrow road through the dense redwood forest, George accidentally hits a massive, hairy animal with his car. The family emerges to discover they have “killed Bigfoot,” and George, a recreational hunter, decides to strap the sasquatch “carcass” to the roof of the car. 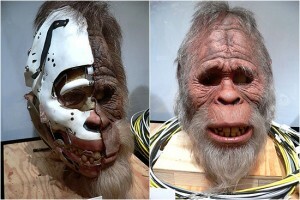 That night, however, the dazed Bigfoot revives in the Hendersons’ garage and begins ransacking the house in search of food. 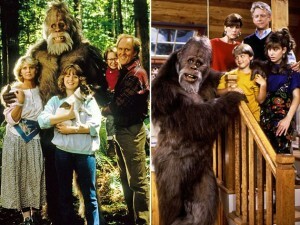 Rather than a violent beast, the Hendersons find the sasquatch, whom they dub “Harry,” to be a peaceful, gentle creature. Befriending Harry, George opts to return him to the wild rather than turning him over to the media or the government. But if this plan worked right off the bat, it would be a pretty short movie. Despite George’s efforts to lure him back into the car, Harry instead wanders off through the town. Harry, maxin’ and relaxin’ with his newfound family. Meanwhile, a French trapper who has dedicated his life to catching a Bigfoot (his sighting of one years before has turned him from a legendary hunter into a laughingstock) has been following Harry’s trail. Finding the trail interrupted in the middle of a road, the hunter discovers a license plate knocked off the Hendersons’ car in the collision, and gradually tracks Harry to their town. The Hendersons, who have been searching for Harry, contact an “expert” to ask his advice as to where Harry might have gone. George heads to the ramshackle “North American Museum of Anthropology” in hopes of meeting Dr. Wallis Wrightwood, a cryptozoologist, and one of the few to depict the sasquatch as a gentle creature rather than a savage beast in his writings. Wrightwood (Don Ameche), who has grown disillusioned over the years, cautions George not to spend too much time and effort chasing a legend. Wrightwood then turns and sees Harry. If you have a heart, the look of indescribable joy and vindication on Wrightwood’s face in that instant will melt it. Dr. Wrightwood ecstatically agrees to join Harry and the Hendersons on their trip back to the forest. But the two are destined to meet and reconcile. 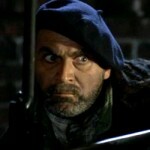 The French tracker bursts from the woods and confronts Harry, and George must prevent either from killing the other. Seeing Harry’s true, peaceful nature, the hunter agrees to leave him alone. He, Wrightwood and the Hendersons say proper goodbyes, and Harry heads off into the forest once more. As he disappears into the trees, several other well-camouflaged sasquatches emerge from the underbrush, welcoming Harry home. Wainwright turns to his fellow cryptid fanatic, the reformed hunter, and asks what he’ll do now. Besides its focus on cryptozoology, I love this film for its ability to convey strong emotions. The hunter and Dr. Wrightwood show the results of obsession, ranging from violent aggression to despondent depression. And the scene in which George hits Harry to convince him to leave is near-heartbreaking. I wasn’t the only one it influenced: An entire episode of “30 Rock” (in which Jack applies tough love to convince Frank to abandon his “dream” of becoming a lawyer, and return to writing comedy) was inspired by the scene. The name of the episode? 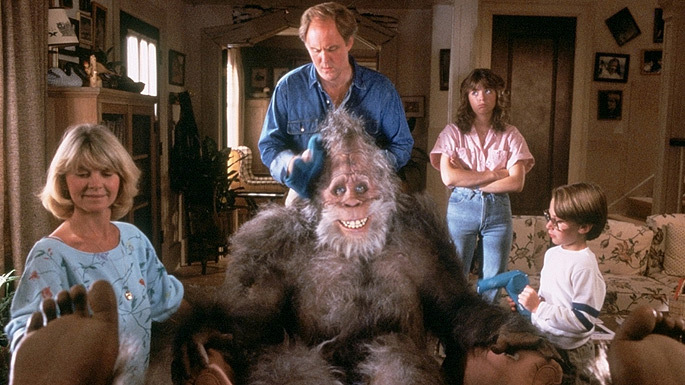 -“Harry and the Hendersons” won the Academy Award for Best Makeup, for the impressive transformation of actor Kevin Peter Hall (who also played the Predator) into Harry. The intricate prosthetic/animatronic structure of one of Harry’s heads. 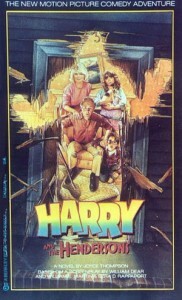 -The film inspired a short-lived television series of the same name, in which Hall as Harry was the only actor to reprise his role.